Competence center of the world’s largest Sporting Goods Trade Show,“ ISPO”. ISPO started in Munich/Germany in 1970, and now is held also in Beijing & Shanghai/China. We serve regularly for the Japanese brands, journalists, trade visitors, and market leaders. For off shore brands who have interest in the Japanese market, we also provide order-made services. We are in charge of the “Sports Marketing” mainly on the actual field, for GoPro brand. This being the DNA of the brand, the activities we take care are very important to keep the brand value stable and high. targeting more wider customers, we are proud of being the Team member of the World’s Most Versatile Camera, GoPro. MsPLUS regularly design, plan, build and execute“ Events” and“ Functions”. From commercial based Communication Events, Sports Events, to Self Generating Show Events, and Charity Events. Providing“ the unusual”,“ the extraordinary” to the society, but not changing people’s life. All sorts of opportunities like this leaves no physical evidence, but starts from passion and ends with memory. Marshall is a British amplifier manufacturer which has been mainly developing and selling guitar/bass amplifier. No matter what genre of music, various artists all over the world love Marshall's amplifier. Anybody should have seen it at least once a life. In 2015, "Marshall Eyewear" is born was born as Fashion Brand. Marshall Eyewear is inherited Marshall-style design but also matches for casual life style. As the master distributor of Marshall Eyewear in Japan, we are not only distributing but also planning and executing POP Up events. HYDE'S is the premium eyewear brand which always offers you the best quality stimulus with its dynamic designs. HYDE'S considers the eyewear is a tool to obtain the identity by its fashionable & creative frames. Eyewear is one part of one's important part of body and it can change the ones' image. You might be able to find yourself like Dr. Jekyll and Hyde. in the same atmosphere with him, all over the world every night. and skill of intuition are also adding unexpected effects and surprises to his performance. 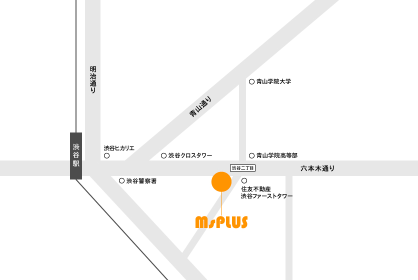 MsPLUS is his Exclusive Management Agency in Japan. Tel 03-6805-1291 / Fax 03-6805-1292©MsPLUS Co.,Ltd. All Rights Reserved.